Following the conference, a short course on program evaluation took place in Addis Ababa on the 8 and 9 December. The event aims to train students to apply cutting-edge quantitative economics and enhance their analytic skills to conduct field experiment and evaluate their impact. 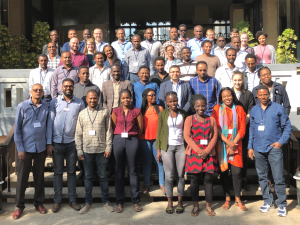 Over the course of the two days, about 50 students from Eastern Africa were lectured on several topics including experimental design, propensity score matching and difference-in-differences estimations. Read more information about the conference and short course. 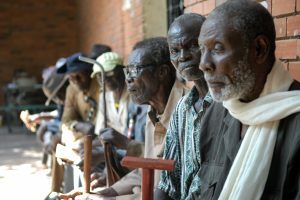 From 2000 to 2009, the Zimbabwean economy collapsed in the face of severe macroeconomic imbalances, hyperinflation and a fast-track land reform programme. While overall economic growth recovered with the stabilisation and ending of inflation through the 2009 dollarization, growth in manufacturing has lagged that of the economy as a whole and employment in manufacturing has continued to fall. 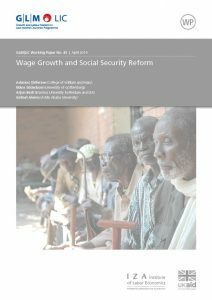 To understand how manufacturing firms respond to extreme and persistent economic crises and policy shocks, this research project conducted a Tracer Survey in 2015 of 203 Zimbabwean manufacturing firms previously surveyed under the Regional Programme on Enterprise Development (RPED) programme in Zimbabwe over the period 1993 to 1995. Through identifying the relative importance of initial firm-based factors (age, scale productivity, access to credit, foreign ownership, export status, etc.) in driving survival outcomes, the research aims to provide a deeper understanding of how economic crises impact upon firm behaviour and firm survival. 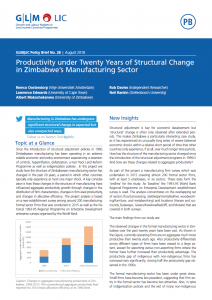 Since the introduction of structural adjustment policies in 1990, Zimbabwean manufacturing has been operating in an extreme volatile economic and policy environment experiencing a reversion of controls, hyperinflation, dollarization, a Fast Track Land Reform Programme as well as indigenization policies . 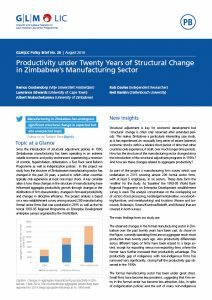 In this project we study how the structure of Zimbabwean manufacturing sector has changed in the past 20 years, a period in which other countries typically only experience at most one major shock. A key consideration is how these changes in the structure of manufacturing have influenced aggregate productivity growth through changes in the distribution of firm characteristics, changes in firm-level productivity, and changes in allocative efficiency. The project analysis is based on a new establishment survey among around 200 manufacturing formal sector firms that was conducted in 2015 as well as the historical 1993-95 Regional Programme on Enterprise Development enterprise surveys organized by the World Bank. 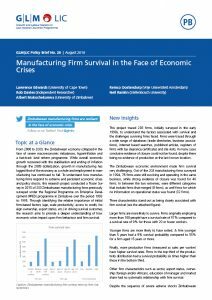 Zimbabwean manufacturing firms operate in an environment of economic volatility and policy uncertainty. The sector’s role in creating employment opportunities has diminished substantially from independence in 1980 when it contributed almost a quarter of non-agriculture jobs. 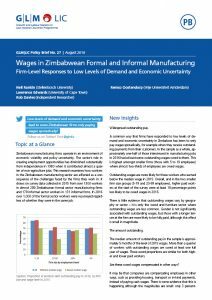 This research examines how workers in the Zimbabwean manufacturing sector are affected as a consequence of the challenges faced by the firms they work in. 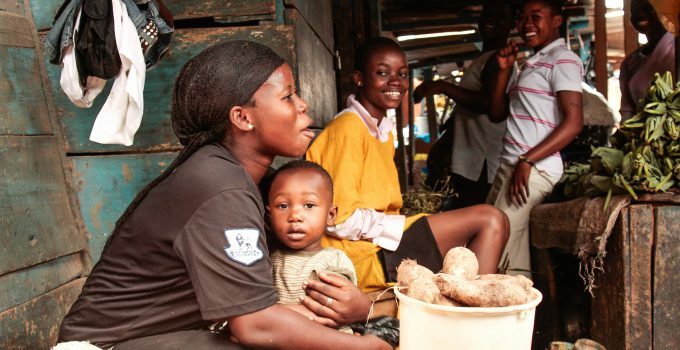 It draws on survey data collected in 2015 from over 1300 workers in almost 200 Zimbabwean formal sector manufacturing firms and 170 informal sector workers in 131 informal firms. In 2016 over 1,000 of the formal sector workers were resurveyed regardless of whether they were in the same job. Income and hours worked are insufficient to measure job quality yet these domains dominate literature aimed at understanding its relationship with wellbeing. 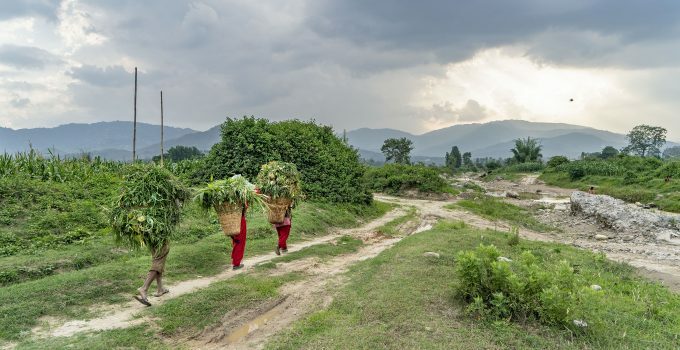 More so, literature considering job quality in any manner has an overwhelming tendency to look at advanced economies, despite “decent work” being a key policy aim of many agencies and organisations working in emerging countries. 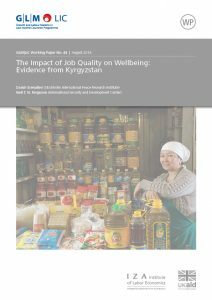 This article tests the validity of the concept of job quality as a determinant of welfare in the developing world by generating four six-component indices of job quality using bespoke and unique data collected in Kyrgyzstan. Cross-sectional analysis of the performance of these indices against ones comprising only income and hours worked show no relationship between job quality and wellbeing in the latter case but a strong and positive relationship in the former. 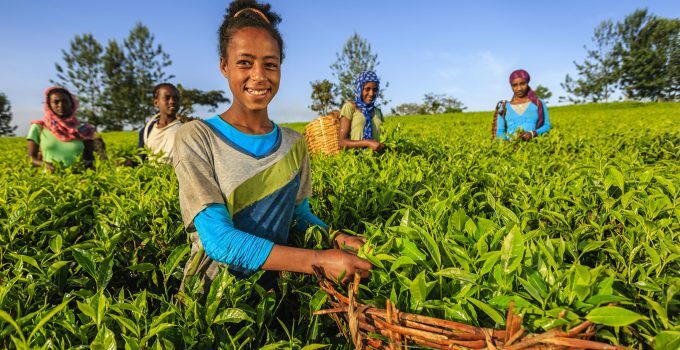 Jointly, this shows both the importance of more suitably measuring job quality in all contexts and the importance of policy aims that aim to stimulate better, as well as more, jobs in the developing world.